Ixora may be the most common flowering shrub seen in the tropical gardens and hold around 500 species. Though native to the tropical and subtropical areas throughout the world, its centre of diversity is in Tropical Asia. Most of the species and varieties flower very freely in summer and rains. They can grow on any soil but respond to treatment with manure when the plant is bursting into bloom. Pruning after flowering is beneficial. Ixora coccinea, Ixora chinensis (Chinese Ixora), Ixora singaporensis, Ixora rosea and Ixora javanica are the most common species offered in nurseries. Another species is Ixora finlaysoniana which originated from India to Indochina and this shrub produces fragrant white flowers. As a result of hybridization and natural crossing many varieties have developed which are of horticultural importance. The species and varieties have been arranged according to the color and flower. The most common flower colors are Yellow, Orange, Pink, Red and White. Light: Full sun to partial shade. A 25% shade over the plant will help to increase flower life span. 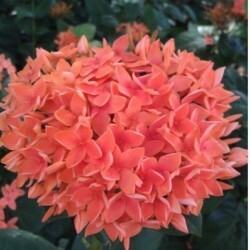 Temperature: Ixora thrive in well when the temperature between 24-32° Celsius. Water: Water regularly and keep soil continuously moist. 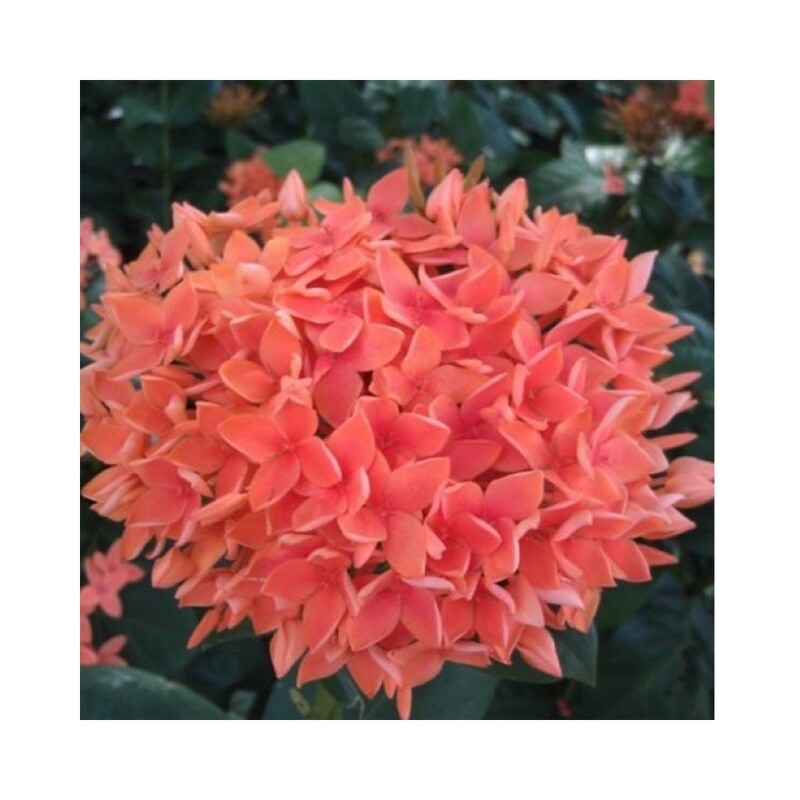 Soil: Ixora is acid loving plant and thrive in well-drained soil with pH between 5.0 to 5.5. Avoid planting near concrete and in cement pot because concrete may cause to increase the soil pH (Alkaline). Fertilizer: A good organic fertilizer is adequate for growth and flowering of Ixora. Pests: Prone to Aphids, scale insects and mealy bugs.